We lost to both of these teams in the regular season. Who do we want to get revenge on more? Don't care at all. Like our chances in a rematch with either of them. Definitely rooting for Philly today so we'd get a home game. Not sure I'd have a huge preference if both games were going to be home/away. Players dropping like flies. Sheldon Rankins and Brandon Brooks suffer serious injuries. Saints it is. Hope Payton is ready for his bowl of gumbo with Peters. 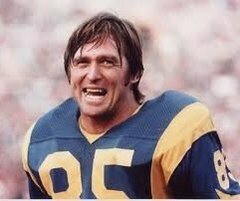 Now that my Eagles are out of it, I'm rooting for my 2nd favorite team - the Rams. I wish you guys the best of luck next week and will be cheering you on from Philly. I hope you win the prize this year. Cheers! I'm definitely nervous playing the Saints in NO, but at the same time they didn't look perfect today, the Rams looked real good yesterday, and our loss to them was a close shootout. We can do this, hopefully the additions of CJA and Talib will make the difference this time! Looks like they'll be without Rankins. Do yall know in the Payton/Brees era they have never beaten the Rams twice in a row? They have played 8 times. 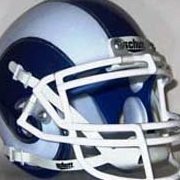 The Rams have beaten the Saints twice in a row in 2011 and 2013. So if the Saints beat the Rams Sunday it will be the first time in the Payton/Brees era that they have a streak of wins against the Rams. The addition of Anderson cancels that out. 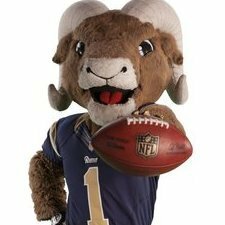 The Rams are now running the ball on average almost 44 times per game since Anderson was signed. 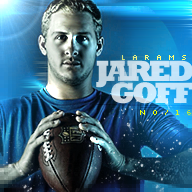 Him and Gurley is consistently getting good positive yards, picking up first downs, putting the Rams in nice yard distances, helping the playaction pass be very effective, and giving the Rams a nice option in the redzone. I personally think McVay has more up his sleeve when he comes to using Gurley and Anderson. I dont think he had to use alot against the Cowboys because they were so effective running straight down their throats that doing anything else was unnecessary. The great thing about now is, the Rams know what the Saints are about, the Saints dont know what this new look Rams team is all about because they only have one game tape of Gurley and Anderson together. The inevitable. I won’t lie I wanted to avoid NO at all cost. Time to put on our big boy pants. Kamara running flats just strikes fear. I've never wanted a game so bad in my life. Wish we got it in LA, but the Eagles game showed the Saints can be beat at home. If Jeffrey catches that pass, there's a good chance they go down. I've never seen this team finish off so many tackles as I have these past few weeks. If we keep that up and the running game continues to dominate, we could actually make it to the big game. 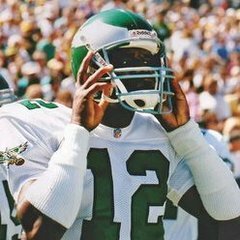 Hopefully the Eagles laid enough of a blue print for us to follow. Holding Saints to 20points was huge. Sheldon Rankins being hurt and missing the game would be HUGE for our rushing attack. We also did not have Talib in the game vs the Saints so hopefully he will shadow Michael Thomas more than Peters did last time. I'm going to closely watch the ref assignment for this game. If we get you know whom again, the NFL wants us to lose imo.